MARTIN Pakula is the Labor Party’s candidate for the Lyndhurst by-election. 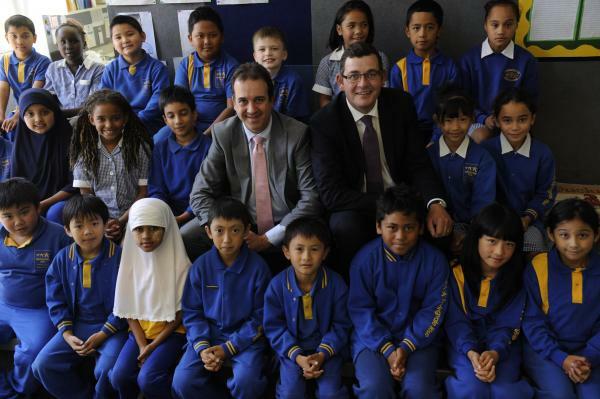 Opposition Leader Daniel Andrews made the announcement alongside the former Public Transport, Industry and Trade and Industrial Relations Minister at Springvale Rise Primary School on Wednesday. The 44-year-old currently represents the Western Metropolitan Region in the Legislative Council and is the opposition’s spokesman for gaming, racing, scrutiny of government and the attorney-general portfolio. Former Labor MP Tim Holding left the Lyndhurst vacant when he resigned on 18 February and voters will select a new representative on 27 April. Last week the Star revealed that Noble Park community worker Nina Springle would be the Greens’ candidate. The Liberal Party has indicated it’s unlikely to field a candidate. “The Liberals have abandoned this contest,” Ms Springle said. “Labor believe they have this seat in the bag. City of Greater Dandenong councillor and Springvale Rise school council president Sean O’Reilly said the by-election should be about shining some light on the unfair ways the State Government had treated residents. “Some schools in the eastern suburbs of Melbourne have been provided with full sports stadiums and gymnasiums, while our local schools, such as Springvale Rise Primary School, can’t even get a basketball court,” he said.